Released to the public in October, the Windows 8.1 or previously codenamed “Window Blue” is considered as one of the major post-release milestone for the operating system. So, what’s next? Well then, say hello to the “Threshold” which is said to be the code name for the next major set of updates for Windows. 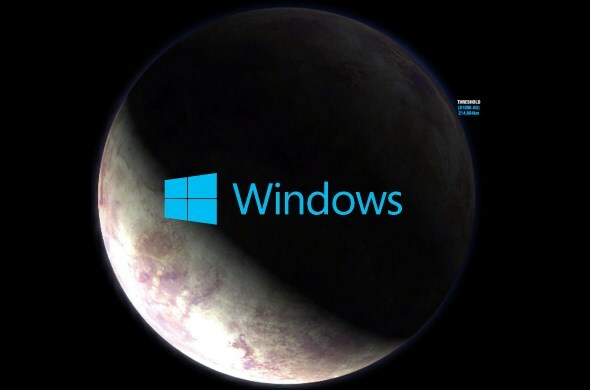 Interestingly, Threshold (named after a planet in Halo universe) is said to cover three main Windows NT-based products which include Windows 8, Windows Phone 8 and Xbox One OS. The exact details of the updates that will be included into Threshold are not yet known at the time being but it apparently will bring the three OS closer together through the support of the same set of “high value activities” across all three OS. However, there is still a long way to go before consumers get to see Threshold in action as it is scheduled for release in Spring 2015. Before that takes place, Windows 8.1 users will first see the release of Update 1 for their OS which will be out in Q2 2014 alongside “Windows Phone Blue” a.k.a the Windows Phone 8.1. Nevertheless, it is good to know that Microsoft is not sitting on their laurels after releasing Windows 8.1 to the market. Additionally, Windows, Windows Phone, and Xbox One users will soon have plenty of things to see and share with each other.